Nepal, Tibet and nearby areas including parts of India have experienced earthquake which caused life and material damage. Today lets bless every person every being who was affected in the natural calamity. Also bless Mother Earth 🌏 with Divine healing energies for rejuvenation May the Divine Plan work out on the Planet Earth. 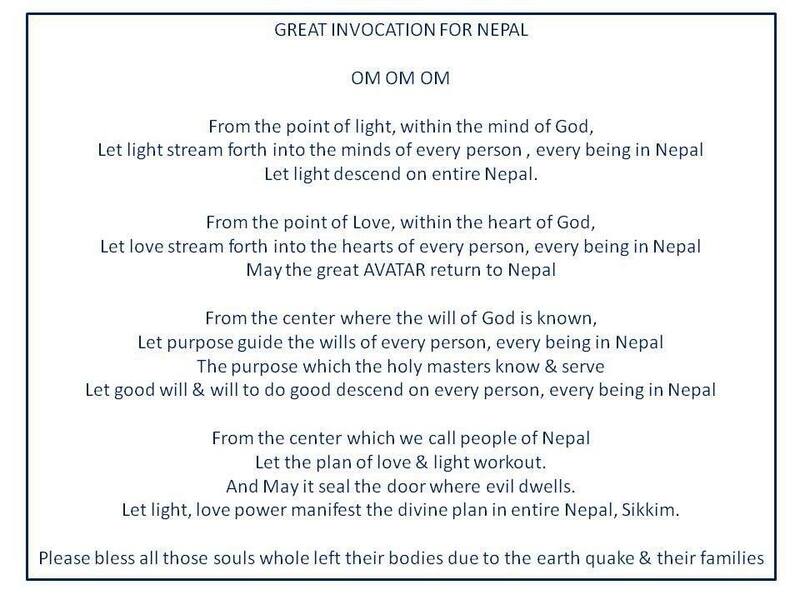 Please use the Great Invocation 7 times and bless the country of Nepal.